Mini Porcelain 13pcs Tea Set is a beautiful little china tea set in a strong, stitched heavy duty cardboard suitcase. 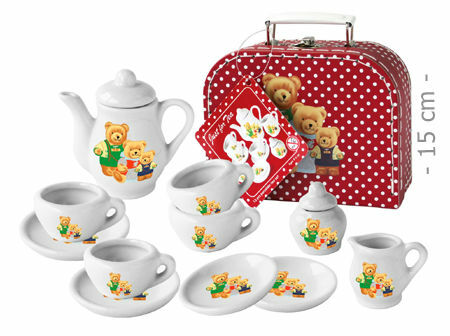 This is a brilliant set for all those tea party occasions and it's little size only makes it cuter. We like this because: "beautifully made and an adorable size. "